As a marketing manager in a major bank, you are aggressively selling related banking products to increase margins and assets under management (AUM). However, the cross-selling strategy that you implement should be devised in such a way, that it doesn't seem too pushy. With the right sales strategy you can create an approach that is win-win for both the customers and you. 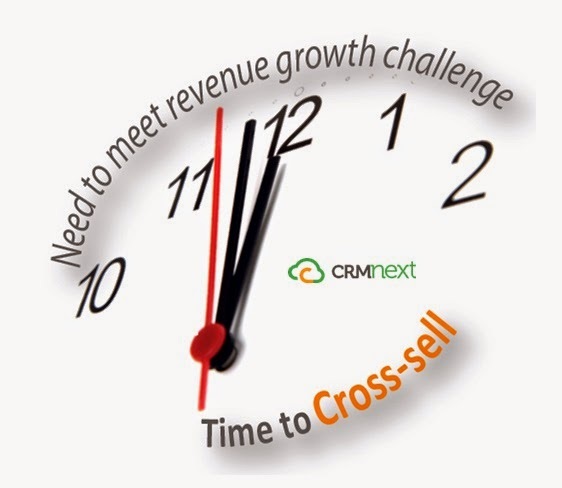 Many banks have taken the advantage of CRM in boosting their revenues and assets. What are their secrets? Always try to sell products that have high margins for your bank. Usually, customers prefer banking products that are lighter on their pockets. You will have higher degree of conversion when you pitch such products to them. Some good examples include insurance and guaranties. It is very important to solely focus on customer needs while approaching cross selling strategy. Latest cloud CRM solutions presents latest customer need information through a holistic 360° view. This view gives you real time alerts about the current customer needs and requirements. The information is captured with a combination of social CRM and customer purchase history. It is not necessary to pitch right at the moment of purchase. You can schedule regular follow-up mails and reminders as well. With the information provided by the 360° customer view, spend some time analyzing and deriving the statistics. Accordingly you can plan cross selling offers. Always remember to follow the age old adage of ‘strike while the iron is hot’. This means that there should not be too much time lag between a customer’s purchase and your offer pitch. A high risk-averse customer will not be interested in products which promise high returns at a very high premium. Vice-verse, a risk taking investor will scoff at a banking product which offers low returns. A good CRM solution will help you devise the right marketing segmentation strategy. With the right package, you can position yourself in such a way, the customer actually feels honored to purchase the products which you offer. Cross selling has been one of the most talked about points lately, but companies have not been able cash in on the technique. Age old myths and sales apprehensions hold even the best sales people at the brim. The best way to tackle them is train banking sales representatives and front line executives with the right approach to cross-selling. Encourage them and remove any fears they might have about this proven sales technique. The above five ways along with sales force automation in Banking CRM will help you get the most from cross selling deals. Banks listen to our Banking CRM blog to get taller, faster!